Over Pesach I heard some interesting theories as to where Gilad Shalit is being held. They sounded quite reasonable. But that isn't the development I was referring to. Now that Hamas and the Palestinian Authority are reconciled and unified, it can only mean one thing. The PA is now responsible for holding Gilad Shalit in captivity and they are the address from where Israel should be demanding his release. Labels: Gilad Shalit. Hamas. PA. Palestinian Authority. Gaza. I'm confused why our government officials are screaming their heads off against the Fatah-Hamas Terrorist Reconciliation. They're saying it will block peace. They're saying it will free terrorists. They're saying that the IDF will have to go on higher alert levels. But mostly they're saying it will stop the peace process. Do they think that Fatah (the PA) really cares? Do they really think that the PA plans to keep up this fiction for much longer? They're not interested in peace. They're interested in a Palestinian state that replaces Israel. They're interested in declaring it in September. They're also apparently a lot smarter than many of our ministers. Scenario 1 is that by September the EU, the UN, and everyone else willfully ignores that Hamas is part of the PA government. They go to the UN. Everyone votes for the new terrorist state - the US certainly won't be a party-pooper and veto it. And presto, instant state. Scenario 2. This summer they launch a full out war against Israel with Hezbollah's help. 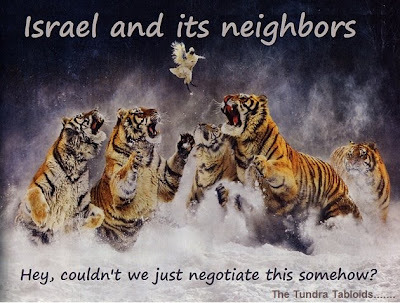 At some point they run to the UN and beg for a cease fire, and while they're at it, declare this their war of independence, which the UN will recognize as such (you can bet they like this scenario better, because it includes a war). In either scenario, they get a state and come October, Hamas takes over. But they don't care. Phase 2 will have been achieved. The PA isn't interested anymore in maintaining the fiction of Peace, because they are solely working towards a unilateral declaration of a state and war with Israel. The sooner our government acknowledges that, the better. Labels: Palestinian Unity. Hamas. Fatah. Palestinian Authority. Terrorists. War. Israel. Reconcilliation. Phased plan. With the second explosion of the Egypt gas line, cutting off Israel and Jordan from Egyptian Gas, Israel is working on its alternative energy sources. Probably the IEC will use what it can from Yam-Thetis Marie field, which I recall hearing is quickly approaching empty. Meanwhile the massive finds of the Tamar aren't yet available but should by 2013 (or maybe next year) and Leviathan fields by 2017. The IEC (Israel Electric Company) will probably be falling back on alternative energy sources, specifically coal and diesel fuel to replace the Gas it won't be getting from Egypt. What this temporarily means is slightly higher electricity prices and more pollution. But once Israel finally dumps Egyptian gas as unreliable (and who would rely on them at this point? ), that's a billion dollars of revenue lost to the Egyptians. Whose interest is it to destabilize Egypt so significantly? Iran? Hamas? Bedouins? The Muslim Brotherhood? The Mubaraks? Labels: Egypt. Gas. Gas line. explosion. Terrorism. Israel. Altenative energy. The murdered Jewish worshiper has been identified as 25 year old, Ben Yosef Livnat, the nephew of Minister of Culture and Sports Limor Livnat (Likud). One of the Breslovers who was in the second car in the convoy and was lightly wounded told Ynet: "We arrived at the tomb like on many occasions in the past. Near the tomb we saw a spikes chain. One of the guys jumped out of the car and moved it aside. "At this point a uniformed Palestinian police officer with a Kalashnikov in a jeep woke his colleagues up and they started firing into the air…I was in the front seat. We started driving fast in the direction of the tomb; we got out of the vehicles and kissed the tomb. "The main problem is that they [the Israelis] entered the city without coordination," said Jibril al-Bakri, the Palestinian governor of Nablus. I thought the main problem was the PA police yelling "Allahu Akbar" and then opening fire at unarmed Jewish worshipers. 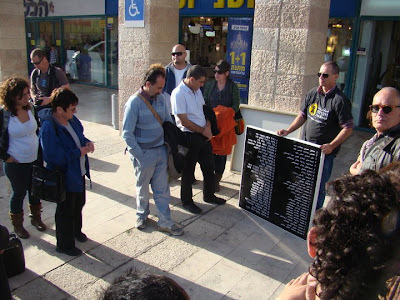 Ever since Israel foolishly gave away Joseph's tomb to the Palestinians (which led to the abandonment of an Israeli soldier (Madhat Yusef) at the site who bled to death, and the destruction of this Holy site by the Palestinians), Breslev Hassidim and others have a made a point of regularly returning to the Jewish holy site to ensure that the Kever isn't abandoned completely. 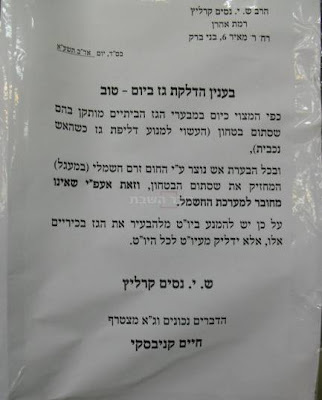 Sometimes the IDF coordinates visits in the middle of the night and brings in busloads of people (unless they think it is too dangerous), but more often Breslev Hassidim sneak in and out in the middle of the night. Early this morning (5:40AM), after finishing their prayers a carload of Breslev Hassidim were attacked by Palestinian policemen. Originally 3 carloads of Jews arrived at the tomb to pray, but PA policemen waiting there shot in the air and 2 of the cars immediately left. The third carload of Breslevers stayed to pray. After the prayers, when the Hassidim were driving out, the Palestinian policemen (trained and funded by the US) drove their PA police jeep up to the car with the Hassidim in it and opened fire. One Israeli, Ben-Yosef Livnat (age 30) was killed and 3 more injured. Livnat is the nephew of Minister Limor Livnat. Nablus/Shechem Governor Jibril al-Bakri admits his policemen did the attack, calling it a "security incident" not a "terrorist attack". He also confirms the witness report that they first shot in the air when they saw the Breslev Hassidim who arrive there every week. 9:42 AM Arabs are trying to burn down Kever Yosef right now. (5 Molotov cocktails thrown at Beit Yonatan in Jerusalem Old City this morning). Labels: Palestinian terrorism. Palestinian police. We have an army far superior to that of any of our enemies. Yet in our last few battles and wars, we seem to actually and actively be trying to not win. Subaru. It used to be the ubiquitous Israeli car of the 70s and 80s...till so many of them were stolen and it became the ubiquitous West Bank Arab car of the late 80s and 90s. Spoof ads are no story. From EL-AL tefillin ads to Honda anti Hizbolla to tacky Zaka ads. The story here is from the JPost: that the Palestinian Authority complained to Subaru and made them issue a formal statement. Japan Auto, carmaker Subaru’s importer in Israel, says it has no idea who is behind the creation of an advertisement attributed to it which uses a picture of two Palestinian children being hit by a car driven by a prominent right-wing activist, and which has been distributed to media by the Palestinian Authority. She added that the company did not plan to take any action over the advertisement, as it has no idea where it originated from. 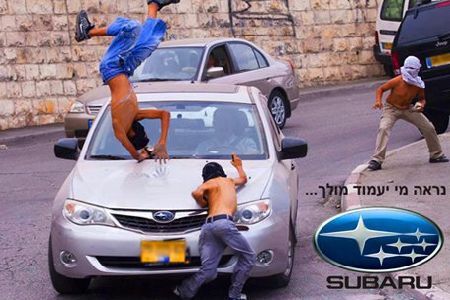 The PA, which runs one of the most antisemitic, incitement and hate filled TV station on the planet, runs to Subaru to issue a condemnation? The rabbi explained that it is better not to sell actual "chametz" to a non-Jew, but to give it to them as a present. If the non-Jew doesn't actualize ownership over Passover, then after Pesach, one can re-take ownership, and this is considered "much better" (mehadrin) than selling chametz to a non-Jew. 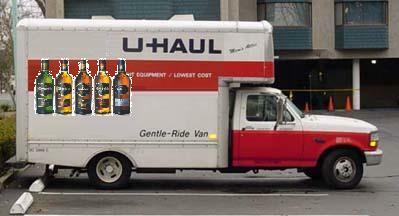 Dozens of people decided to use this "better" option and transferred tens of thousands of dollars worth of whiskey and leavened bread products to the room allocated by the Rabbi...all assuming they would retake ownership of it, after Pesach. The ever-compassionate women of Machsom Watch (Funded by the New Israel Fund)...seen here is Raayah Yarom lending a shoulder of empathy to a Palestinian women who just fainted. Her son has been arrested by the IDF for the brutal murder of the Fogel parents and 3 children from the community of Itamar. Machsom Watch (and the New Israel Fund) didn't bother to try and offer any empathy to the surviving children of the Fogel family massacre. Glad they have their priorities straight. So I've visiting good friends today who came to Israel for Pesach. I was going to visit them last night and photograph their 2nd Seder for them, but we were so exhausted after a full day (of eating) that we simply collapsed from exhaustion once the first day ended. 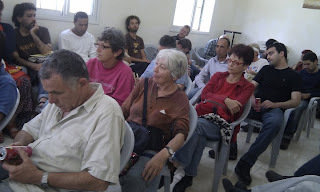 I've got too much to do today, so this won't be a full (or overly researched/detailed) post, but I want to quickly talk about the "Additional Day of Chag" business that visiting Jews keep in Eretz Yisrael. Yes, I understand the possible Halachic/custom issues (such as they are just visiting, or that they shouldn't then get confused about the idea and only keep 1 day in Galut). But simply put, it's wrong for a Jew to keep 2 days of Chag in Eretz Yisrael. Halachic issues aside (Bal Tosif and there is no S'feika d'Yoma in Eretz Yisrael), for me the issue indicates a bigger problem. To me it means that for Jews in Galut, they are still in Galut even when physically in Eretz Yisrael. True, we don't have a Temple yet (but we are hopefully getting closer to Korban Pesach), but this is Eretz Yisrael. The center of worldwide Jewish life. The place where 1 day of Chag is kept - d'oraisa. What are these Jews going to do when the Temple is rebuilt? Ask the Cohen Gadol to make a second sacrifice for them the next day because they are only visiting? It's time that Jews visiting Israel realize that even if they are only zocheh to be here for the Chag, that they are still home, and they should only be keeping 1 day of Yom Tov. (This post represents the views only of the author). Labels: Pesach. Korban Pesach. second day yom tov. Last year I came across a fascinating article by Rabbi Natan Slifkin. He discussed how big is the piece of Matzah one is supposed to eat in order to properly fulfill one's Passover requirements. 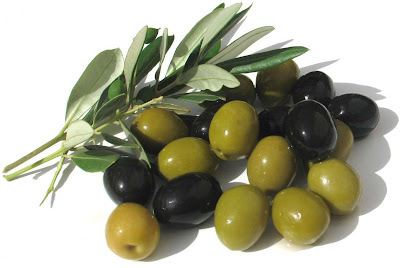 In the article he discusses the evolution of the olive. The olive (k'zayit), of course, is considered the basis for determining the size of Matzah one is supposed to eat. There is no “eating” with less than a kezayis (equivalent to an olive). How much is this quantity? R. Chaim of Volozhin (1749-1821) is widely revered as the father of the yeshivah world. Less known and certainly less popular in the yeshivah world is his view as to the size of the matzah that one is obligated to eat on Pesach. R. Chaim was of the view that this kezayis is actually the size of an olive – around three or four cubic centimeters. This results in a piece of matzah about half the size of a credit card." Read the rest here and enjoy your Pesach meal. Attention all Kosher shoppers in the NY/NJ area. This is your last chance before Pesach (afterwords you'll have to shop during Chol Hamoed). A&P, Waldbaum's and Pathmark want you to know that not only do they have a wide selection of your favorite Kosher for Passover products, they're also running a number of specials on some of those popular Kosher for Passover foods and drinks so you can save money on your Pesach shopping. And on top of that they've got some coupons for you so you can get some free Matzah (though I don't know why they spelled it Matzo). Anyway, to get your free Matzah (or Motzo) click on this link. Then click on the link on their landing page to download the coupons (it's in a PDF file). Certain restrictions apply. Has the Internet dehumanized the Passover experience? One of my oldest memories of Pesach is the family going to the Rabbi to sell the Chometz. We would get there and the adults would shmooze. The Chometz would then be sold, a handkerchief raised (for the Kinyan) and a donation would pass hands. The Rabbi would test us kids to see what we learned about Pesach and what we knew in general. At the end, he always gave us a small present. But my kids aren't getting that experience. How exciting is it to log into a Jewish website, fill out a form, and sell your Chometz as if you were on eBay (with a definite buyer)? Not exciting at all. I admit it's my fault, but in the modern world, transactions are simply moving to the online venue. My kids are getting plenty of Pesach memories, but this is one that they will miss out on because of the convenience of the Internet (and because I have no clue as to who to physically go to in Israel to sell my Chometz). Has the Internet dehumanized Passover? I don't know, but I do know this experience won't be a common one much longer. Watching a representative of the IDF Spokesman professionally slam Hamas on Al-Jazeera, in fluent Arabic, is refreshing. Using their own phrases and expressions, this guy is fantastic....subtitled into English. Five minutes of perfect Hasbara. "The film, 'The Nails of the Cross' by [Orthodox Jew] Simcha Jacobovici, follows three years of research during which he presents his assertions - some based on empirical data, others requiring much imagination and a leap of faith. Many ancient relics, including other nails supposedly traced back to the crucifixion... Many were deemed phony, while others were embraced as holy. "What we are bringing to the world is the best archaeological argument ever made that two of the nails from the crucifixion...have been found," he said. "Do I know 100 per cent yes, these are them? I don't." "The [school] bus wasn't that badly damaged, but Israel wants to use the attack on the bus as an excuse for its latest war crime against our people." Wow. Hamas fires an anti-tank missile at a school bus...the PA decides it wasn't badly damaged...and then Israel used the damage on the bus as an "excuse" to attack Israel. This is so typical of the Palestinian Authority. It's no wonder their society produces suicide bombers and butchers of families and babies. It starts with completely ignoring human life -- and focusing on something as stupid as the "damage to a bus." Instead of writing about a shooting attack on the car in front of me this evening, or the rock that hit my car, I thought it might be more interesting to write about the new rage in Israel. 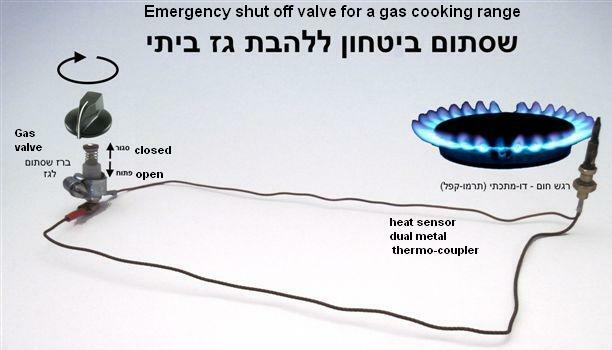 In a letter from Rabbi S. Y. Nissim Karlitz and Rabbi Chaim Kanievsky, they write that due to the safety gas valve installed on gas ranges, which creates an electric circuit despite not being connected to an electrical source, it is absolutely forbidden to light a gas range on Yom Tov (from another source of fire, which is permitted on Yom Tov), and one should leave their gas range on for the entire holiday. While this may seem as shocking news to the Ultra Orthodox community in Israel, it has been previously addressed by Rabbi Yisrael Rosen of the Tzomet Institute (this isn't a "new" issue at all). 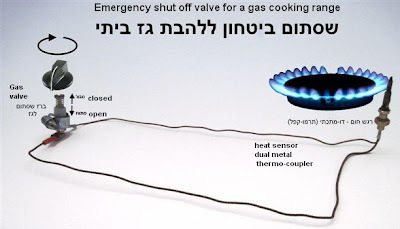 All new gas ranges by law, are required to have an emergency shut of gas valve. Pushing in the dial for a gas range, opens a spring operated gas valve and allows gas to reach the range top. Near the location of the flame is a dual metal sensor which has the physical property of creating a minute electrical current resulting from the the heating of 2 different metals closely aligned with each other. The minute current is enough to keep the gas valve "open" against the spring mechanism. If the flame goes out, the sensor cools, and after 5 seconds, the dual-metal contraption ceases to generate the micro current. This results in the valve springing opening, thereby shutting the gas flow. המדליק את הלהבה מתכוון להבערה ולבישול. חימום החיישן ויצירת הכח החשמלי היא תוצאת לוואי, היכולה להיחשב לכל היותר פסיק-רישא (בדרבנן? 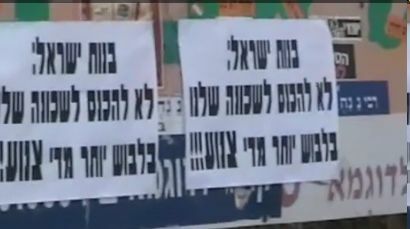 ), דניחא ליה. We haven't written much about the Egyptian revolution. But it doesn't look like its going so smoothly right now for the citizens who want freedom. Egyptian blogger Maikel Nabil Sanad, a pro-Israel(!) blogger has been arrested and sentenced to 3 years in jail. Maikel criticized the Egyptian military, claiming it was continuing Mubarak's legacy of non-Democratic rule. He also claimed that the military tortured protesters. Seems like he is right. (If you're wondering how an Egyptian blogger might be so pro-Israel as he is, it's probably because he's a Coptic Christian). 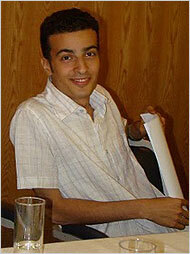 Hey Egypt, free Maikel Nabil! 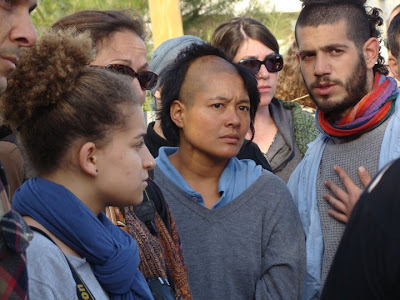 Mainstream leftist protested today the illegal Israeli occupation of Har Nof in Jerusalem, and more specifically, the the battle of Deir Yassin, a town whose inhabitants were heavily involved in the organized attacks on Jews and the blockade on Jerusalem some 63 years ago. In the Battle of Deir Yassin 5 Jews were killed and 35 Jews were injured by the Arab combatants of Deir Yassin. The mainstream Leftist protesters are apparently angry that the Jews chose to defend themselves 63 years ago against Arab snipers, the Arab blockade of Jerusalem, and irregular militia that occupied Deir Yassin and murdered Jews. Can't wait for those Friday protests to begin. France has banned the Burqa. I have mixed feeling about this. After all, what will women from Beit Shemesh be able to wear if they travel to France? And what's next? Beards? Pais? And don't think I'm exaggerating. Shechita is already forbidden in Sweden, Switzerland, Norway and Iceland. And as of now, it looks like Holland is about to join that crowd. You can argue that Jewish people shouldn't live in anti-Semitic Europe, but that doesn't change the fact that Jews do (for now). But let's take a step back. When I was in the good ol' USA a short while back, a visit to the Statue of Liberty required that women had to take of their hats for the security inspection. Religious freedom is being severely impinged upon in Europe. Security is one reason. Culture is another. Defending against encroaching anti-Democratic Islamic law a third. But Xenophobia is certainly playing its part. Arguments can be made for and against - but either way, it's just a slippery slope down from here. Imagine if Al Qaeda asked for a cease fire with the US after they blew up the Twin Towers and the US started to hit them back. Now imagine the US agreeing. It almost impossible to conceive that the United States would ever agree to such a thing. Yet here in Israel, Hamas purposely blew up a school bus, knocked out the electricity to towns in the Eshkol region, launched hundreds of missiles, and have been trying to kill as many civilians as they can. And despite all that, Israel is agreeing to a ceasefire with Hamas after we only began to start hitting them back! (As an aside, I would like to point out the miraculous nature of how few people have been killed by all these missile attacks, as opposed to how many could have been killed. There are those that like to say that we in Israel are exaggerating the missile threat. I think it's clearer that a dozen kids getting off the school bus minutes before it got hit is yet another example of an open miracle). Is there any logic here to Israel's actions? Even Ministers in the government are baffled. The only explanation I can think of is that the government wants Hamas to stay in power. It prevents a reunification of the Palestinian Authority with Gaza. Meanwhile Hamas activities in the "West Bank" keeps the PA weak and threatened - as well as too busy to concentrate much on launching their own activities against Israelis. I go back to my original premise. Time to topple the PA. Time to topple Hamas. They're both dangerous to Israel. If Jordan isn't ready yet to be in the picture, then let's start talking to the local Sheiks - they can't stand the PA and Hamas either. Here is a video of the newly operation Iron Dome anti-missile defense system in Israel in action. What you will see is a Kassam Grad missile flying towards Ashkelon. Within a second of launch the "Red Alert" siren goes off in Ashkelon and surrounding communities. The Iron Dome system tracks the Kassam rocket and launches a countermeasure rocket. You then see the Kassam explode in mid-air and Ashkelon is safe. Labels: כיפת ברזל. iron dome. ashkelon. anit-missile system. grad. kassam. hamas. gaza. Israel. video. goldstone. 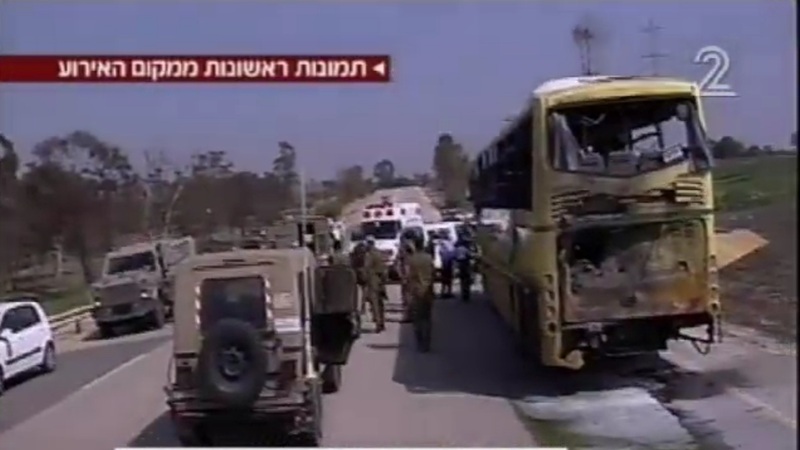 IDF Spokesman Blogger Press Conference; Hamas attacks Israeli School Bus. Attack took place an hour and half ago. The attack was directed against a regional council bus, a yellow school bus for children, clearly marked with signs that it was for transporting children. 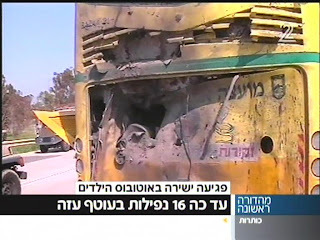 The bus was hit by an anti tank missile. Two people only were on the bus, a driver and a 13 year old who were both wounded; the 13 year old was critically wounded, and the driver was moderately wounded. 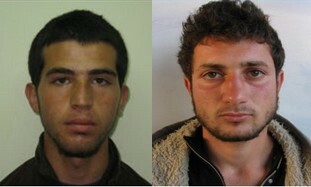 We are witnessing ongoing attempt by Hamas over the past few weeks to hit Israeli civilians through many means. You cant miss the fact that this is a school bus as it is clearly marked. We are currently assessing the situation and the IDF is currently operating in the area. Q: How old is the teenager - 13 or 15? A: Our reports are that is a 13 year old. Q: What hospital are they in? Q: Who shot the missile? 6:13 PM Channel 10 Reports that there is currently an IDF multi-pronged retaliation attack on Gaza, including from IDF Gunboats, IAF Helicopters, IDF tanks and artillery. No (known) IDF ground forces have entered Gaza. 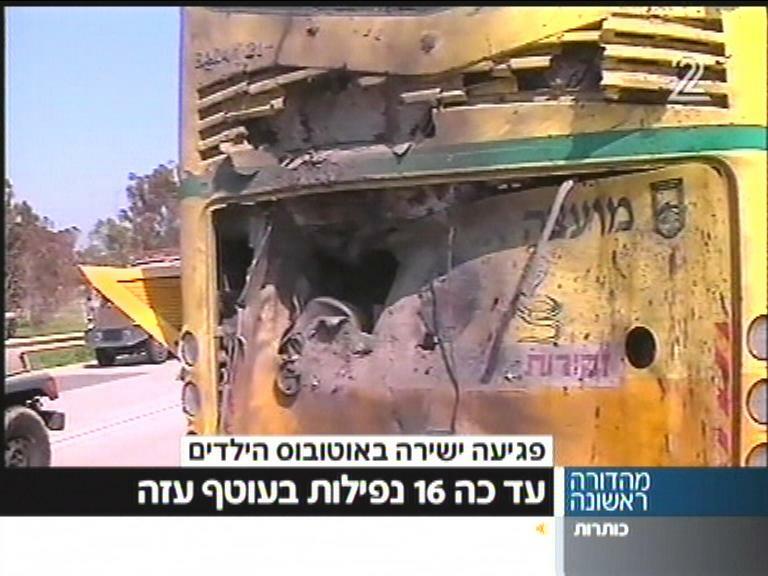 4:15 PM Gazan terrorists hit a school bus in the Negev with an anti-tank rocket. The driver and a 16 year old were injured. The injured teen is in critical condition. Update: 4:54 PM As part of this terror attack, over 16 Gaza-fired Rockets have landed in the Israeli areas surrounding Gaza. Update: 4:58 PM Channel 2 reports the IDF is shooting back, firing artillery into Gaza. Reports from Gaza of dead and wounded in IDF strike. Update 5:03 PM IDF has closed road 232 (inside Israel) to all civilian traffic due to ongoing rocket attacks from Gaza. Jameel adds: Is this inconceivable that Palestinian terrorists shoot anti-tank rockets at school buses? 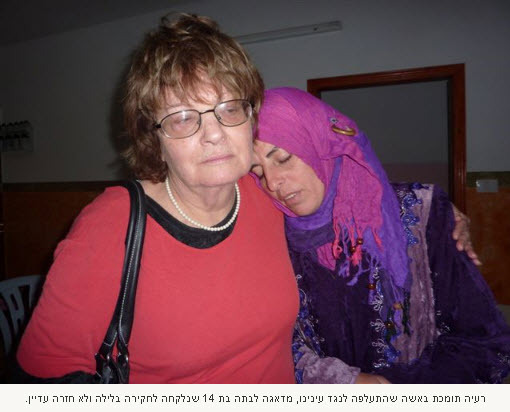 Where is Israeli MK Hanin Zuabi to condemn this terror act, and demand the terrorists are given the death penalty? JPost adds: An anti-tank missile landed near a school bus outside Kibbutz Saad in the Negev on Thursday, injuring two people. The bus driver was seriously injured, and one 13-year-old passenger was critically injured. They were the only people on the bus. Magen David Adom paramedics are attempting to revive a 13-year-old boy who was on the bus. Additional mortars were fired at the area. Residents have been instructed to stay inside buildings. I don't recall so many catastrophe's for Israel's left wing, as this week. Denial: Goldstone didn't really retract, and Israel still targets civilians in what must be the most ineffective attempt at ethnic cleansing in history. All we have left is depression and acceptance. Depression will come, but it won't be blogged, as anger is their driving emotion. Acceptance cannot come, because as long as Israel exists in any form, these hateful lunatics - who happily publish the most ridiculous rumors of Israel arming Gaddafi - will never accept any possible defense for its existence. 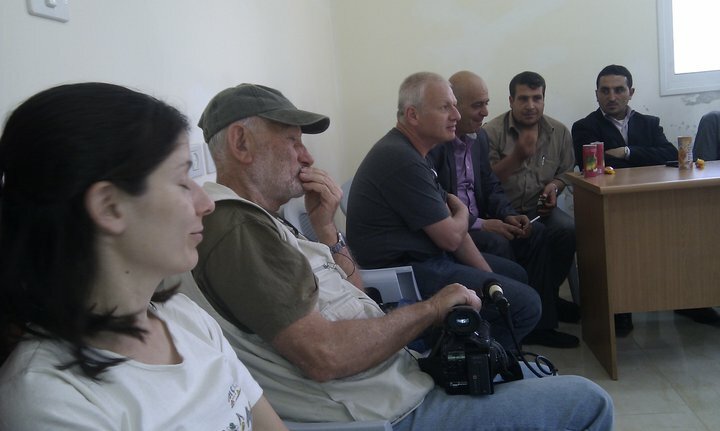 The second Naqba was the murder of Israeli Peace activist and actor Juliano Mer-Khamis in PA controlled Jenin. By Palestinians. The third and perhaps most painful Naqba, is the loss of the NIF's primary funding from their Sugar Daddy, the Ford Foundation. Losing so much funding will definitely have a dampening effect on the ability of NIF-funded organizations to fuel lies to Goldstone-like reports, and will take a bite out of the local "progressive Zionist" anti-Israel campaigns. A side Naqba is the start of the trial against Hamas Terrorist, Dirar Abu Sisi, who the left has been claiming is an innocent engineer. Dirar Abu Sisi gave Israeli intelligence 'valuable information' that led to the attack on arms smugglers in Port Sudan, Sudan, a source told Kuwait newspaper Al Jarida reported Thursday. According to the source, Abu Sisi passed along the sensitive information to Israel during his remand since he was abducted by a train in Ukraine last month. It's all narrative anyway. One person's Naqba is another's sigh of relief. A balanced article managed to slip through the sharp claws of Haaretz's editorial staff, and I'm recommending it for all: Israel's left needs to wise up to Middle East reality: How would the left have reacted had Juliano Mer-Khamis been murdered by Jews? Labels: catastrophe progressive zionisim, Naqba, new israel fund. nif. ford foundation. The rumors have been going around for the past half year. The Ford Foundation would be stopping their funding of the New Israel Fund and related NGOs in Israel. NIF received a whopping $20 million over the past 5 years (and another $20 million before that). When first heard, one could only hope it was true that the Ford Foundation would stop funding groups involved in the Arab-Israeli conflict (especially when in our eyes none of them are pro-Israel). And now it's proven to be true. The current grant expires in 2013 and won't be renewed. The Forward has the full report. Yet another Naqba for the Left this week. Labels: New Israel Fraud, new israel fund. nif. ford foundation. Channel 10's "exclusive" scoop yesterday that PM Netanyahu "double billed" for trips abroad is one of the most pathetic excuses for yellow journalism I have ever seen. In their witch hunt attempt to get Netanyahu out of power, they are going over single receipt of his they can find...and when they can't find any evidence of wrong doing, I guess they have to manufacture their own damning evidence. Their video broadcast is here -- please go to 3:06 in the video and you'll see where they show the alleged invoice which implies double billing of Netanyahu's trip. You can almost make out the photo shopping of the Channel 10 doctored invoice, where they labored to remove the word "cancelled" -- which clearly states, THERE WAS NO DOUBLE BILLING. Look, I'm far from the world's greatest fan of PM Netanyahu, but the witch hunt against him, using doctored evidence is simply beyond unethical. Labels: Bibi Tours, corruption, Double Billing, Ofer Shelach. Channel 10. Channel 2. Netanyahu. Seuring the State. David Omand. ipad. Helicoptor. Herb Keinon. Book. reading. liar. Bibi. I fell off my chair laughing when I read this one. On a Channel 2 report on Netanyahu's alleged double-billing scandal, Ofer Shelah, decided to share a story about Netanyahu with the viewers to give them a proper perspective on the man they were reporting on. To give you some background, Netanyahu is probably one of the most careful politicians around when it comes to finances and scandals (at least since he found himself forced to make that announcement many years ago about someone trying to blackmail him). He knows the media and the Left are out to get him so he tends to be extremely careful not to get close to any wrongdoings. The current investigation against Netanyahu is now pointing towards 2 incidents of double-billing on trips abroad (think Ehud Olmert). Channel 10 has been leading the charge. So far Netanyahu has admitted that one trip was double-billed!!! That's right. He admits it. Now before everyone on the Left gets all excited, there is second part to that story. 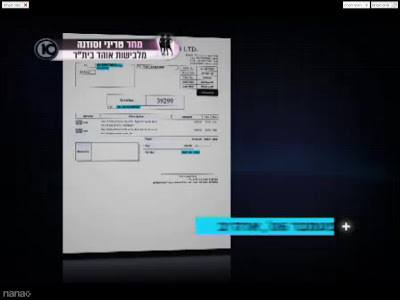 Netanyahu also has the canceled receipts that show that he immediately returned the money when he saw it was double-billed. Channel 10 will be facing a libel case soon. But back to Ofer Shelach. Ofer Shelach decided to share a story with the viewers to prove that Bibi can't help himself but always lie, even about inconsequential things. On the YouTube interview, Netanyahu answered a question about what book he was reading. Bibi said he was reading a book called "Securing the State" by some British agent. Ofer Shelach knew that Netanyahu must be lying and decided to do an internet search for the book. Ofer Shelach could not find that book or anything like it with a similar name. Ofer Shelach led the viewers of Channel 2 to believe that Netanyahu may even be lying about what book he was reading. As it turns out, Netanyahu took some reporters with him on a helicopter ride a few weeks ago to see the fence down south. 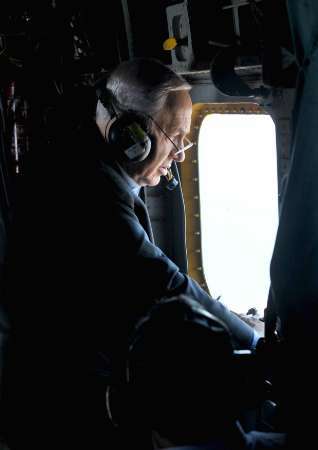 One reporter was Herb Keinon from the Jerusalem Post who happened to notice which book Netanyahu was reading. Could it be that there are those in the Israeli media who are simply out to get Netanyahu? A few weeks ago I wrote a post called "Only an idiot would steal an iPad". 3 investigative journalists for Ynet decided to test out their iPads to see if they could duplicate the events. They couldn't. Their locations were off by as far as a block. They concluded that Yaki was lying and made up the story. Like Netanyahu, Yaki also doesn't like being called a liar. His response was that his little girl has more technology sense then these 3 investigative journalist put together. On his blog he showed how using MotionX software with the iPad it is possible to achieve a very accurate location reading. This second story raises a new question. Could it be that Israeli reporters not being purposefully malicious against Netanyahu, but rather are simply completely inept? Labels: Ofer Shelach. Channel 10. Channel 2. Netanyahu. Seuring the State. David Omand. ipad. Helicoptor. Herb Keinon. Book. reading. liar. Bibi.